The Spanish language is one of the most beautiful languages in the world and its beauty lies in its words. The Spanish language is estimated to be made out of a total of 250000 words with the largest Spanish dictionary having over 100000 words. This can seem a really big and frightening number to someone wanting to start learning Spanish, but here's the good news: you only need to know roughly 5% of the total words to be fluent in Spanish. This translates into knowing only the 5000 most common Spanish words in order to be able to have fluent conversations in Spanish. What’s even more encouraging is that knowing as little as 100 words helps you understand half of the words in an article or book written in Spanish. Learn the most common 1000 words and you get to a 75% understanding of texts in Spanish. Also, each new word you learn helps you guess the meaning of up to 125 words you have never seen before. This means that knowing only 1000 words helps you guess up to 125000 Spanish words. Doesn't seem that frightening now, right? Let's naturally start with "Hola”. This is one of the most known words in Spanish and a great way to start a conversation with someone from Spain. Love is a universal feeling and we definitely had to talk about it here. Spanish people have a lovely way of saying they care deeply about someone or something by using the word "amor". When there's love, there's definitely happiness and we are all chasing this feeling. Let's talk pets. There are two types of people in the world: cat people and dog people. We are going to talk about our feline pets first. But let's not forget about our lovely and loyal companion Spanish people call "perro". This is a really useful word for dog lovers worldwide. Now is time to be positive. Smiling makes us happy and helps us stay healthy, so that's why we all need to smile everyday. Next, let’s see how people in Spain say “Spanish”. The correct answer is "Español". Yes, we have arrived at number 8 where “yes” is the subject to be discuss. Spanish speakers agree with you by using this word. 9. Gracias. = Thank you. Thank you for reading this far or should I say "Gracias" as they say in Spanish. No polite conversations can end without a good old "goodbye". 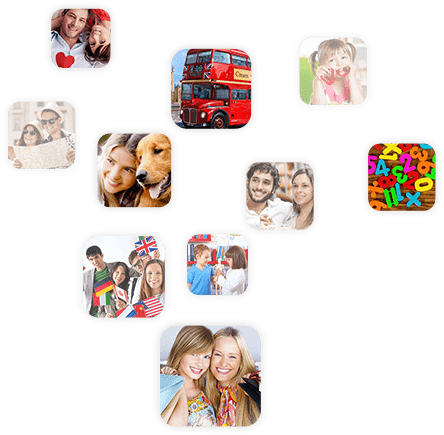 Online language courses nowadays are fun, effective, affordable and use the latest technology to teach you a new language. This makes them a great solution to build your vocabulary. Meet Mondly, one of Apple’s best new apps of 2016 helping millions of people around the world learn a language. Our expert linguists have selected the most common Spanish words so you start by learning what’s really important. No more learning random words you will probably never use in real life. Each Mondly lesson revolves around a certain theme or situation: from family to colors to animals or shopping related lessons. 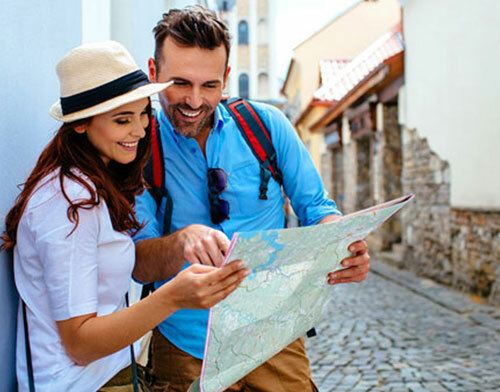 You quickly get immersed in different situations like ordering food in a restaurant, booking a hotel room or having a casual talk with a native speaker you’ve just met. Organizing the lessons into themes makes learning Spanish words a lot easier by creating powerful associations in your brain. It’s been proven that you learn any language faster when you hear natives speak. That’s why our linguists have made listening to natives an essential part of the learning experience. 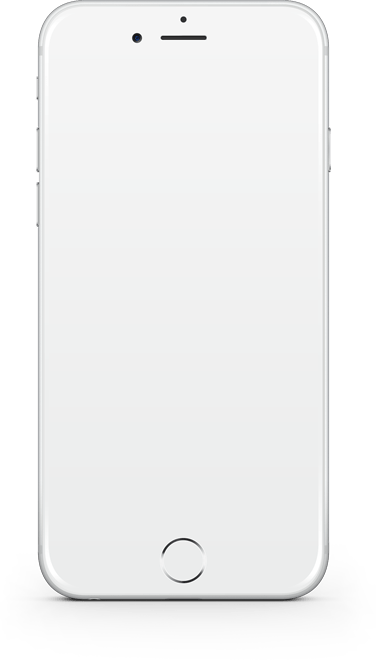 All phrases within the app are recorded by professional Spanish speakers so you can sit back and absorb the correct pronunciation of the most common Spanish words effortlessly. Now, let’s explore the ultimate goal of learning Spanish: having real conversations. That’s exactly why we’ve made speaking exercises an essential part of our lessons so you can practice the cool Spanish words you just learned. You have to try our Voice Chatbot, a computer program so advanced you can actually have an intelligent conversation with. Just engage in a conversation and you get asked questions, you respond and the Chatbot understands what you're saying and continues the chat. It’s a remarkable technology that made millions of people fall in love with Mondly. The longest Spanish word in the dictionary has 24 characters and is “electroencefalografistas” which is basically the plural of electroencephalograph technician. The good news: this is a less common Spanish word which you don't have to learn to be fluent in Spanish. Some Spanish words cannot be translated in other languages using just one word. One example is the word “empalagar” which means “being sick due to food sweetness”. However, it is sometimes used to refer to romantic situations. There are over 30,500 words in Spanish that contain all the vowels (a, e, i, o and u). That’s a lot of words. If you are wondering what’s the most used vowel in the Spanish language we can definitely say it is “e” while the most popular preposition is ”de”. 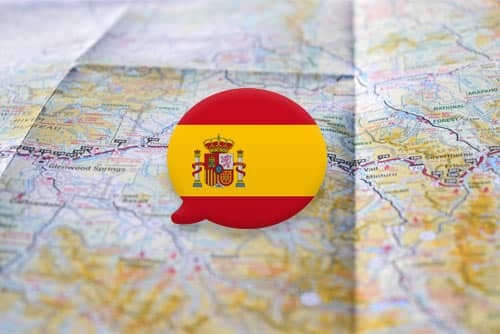 European languages have had such big influence on the Spanish language during the past 100 years that it has altered its vocabulary. For example, the English word “football” has become “fútbol” in Spanish when it initially was “balompié”, “gendarme” meaning “peace officer” has been borrowed from French, “coche” meaning “car” has been taken from the Hungarian “kocsi” and “pistola” meaning “gun” has its roots from the German word “pistole”. Starting with the Spanish basics means you will begin by learning the easiest words first and gradually increase difficulty. This way you will feel great while learning and see how your language knowledge broadens. You'll be able to speak to someone from Barcelona or Madrid about regular topics like weather, politics or family. This will make you confident in your Spanish skills and eager to learn more. 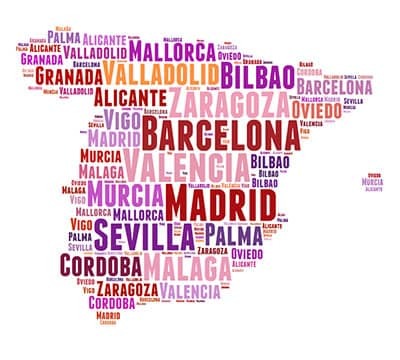 By learning the most common Spanish words first you are learning the smart way. Why learn the most unusual words in Spanish when you might never use them in real life? Each new Spanish word you learn piles up until your vocabulary builds stronger and stronger. Each lesson gets you one step closer to fluency.